Home / Max Gale, Psy.D. 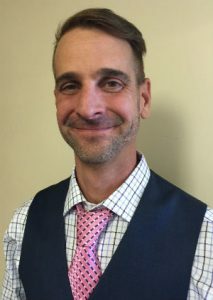 Dr. C. Maxwell Gale has over 15 years experience in therapeutic interventions with adolescents and adults through varied modalities including individual, couples, and family therapy as well as strategic goals guidance for professionals. Dr. Max Gale earned his doctoral degree in psychology from the University of Denver in 1999 followed by post-doctoral training and ongoing professional development that supports effective practice. Dr. Gale blends his therapeutic approach to life change and achievement through the use of empirically supported theories of psychology including Cognitive-Behavioral Theory, Acceptance and Change Therapy, and Family Systems Theory. Clients have often commented these approaches have changed their personal sense of well being and success in life while finding Dr. Max Gale an enjoyable professional to guide the process of change. In balance with professional life Dr. Max Gale enjoys the outdoors with his wife and colleague Dr. Jennifer Gale as well as time eating the wonderful meals she crafts with love and attention. Fueled by those good meals Dr. Max Gale tries to keep up with two young boys that want to control the day’s pace as well as looks to friends for a sense of humor and understanding of life’s twists and turns. Though growing up involved moves for Dr. Max Gale through Indiana, Tennessee, Georgia, Illinois, Texas, Colorado, and Oregon, in the end Utah has been a pleasant anchor, both living and working in Park City since 2002. Planting roots in Utah was easy given Dr. Max Gale enjoys all the outdoors offer including trail running, mountain biking, backcountry skiing and snowboarding, fly fishing, and summer concerts!